But what were “the rumours” and “special rituals” and which group was alleged to be preparing to commit them? So, vile anti-semitic rumour mongering from the newly liberated Egyptians. And the BBC fails to share the details? I am indebted to B-BBC reader Martin for pointing out the amazing sanitising on behalf of the Jew haters in Egypt. “The Muslims were entirely indifferent, and remain largely indifferent (save insofar as a handful of Western-educated Arabs have begun to take an interest, and insofar as antiquities such as the pyramids provide Western currency from tourists) to their own pre-Islamic past. 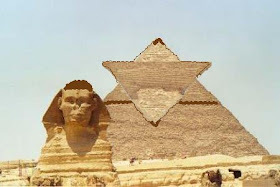 The Egyptian obsession in proving that the Jews did not build the pyramids or perhaps Zahi Hawass former Minister of Antiquities’ obsession has been given publicity in the past by the BBC. Egypt tombs suggest free men built pyramids, not slaves As far as I know al Beeb never covered the scandal suggesting Hawass faked the footage Dr. Zahi Hawass, Fake Chamber Scandal nor apparently that he was sentenced to one year in gaol over a land dispute Antiquities chief Zahi Hawass sentenced to one year in jail. Hawass has long campaigned for the recovery of Egyptian artefacts in foreign museums (he has a case) so I expect the BBC will make sure we hear more from its favourite Egyptian. Just for the record the Jewish thing has never ever been more than a bogeyman. Even assuming the story of the Exodus is true, and many dispute it, the Israelites were in Egypt, from Joseph to Moses, an estimated 430 years of which only part was spent as slaves. Pyramids were not mentioned in the accounts. Clearly if the Israelites worked on some tombs they didn’t work on all of them. Intriguingly Muslims revere Moses as a major prophet and refer to the story of the Exodus in the Koran. Cognitive dissonance? It’s not a dichotomy. That stuff is in there because Mohammed and his editors wanted to demonstrate that Islam was the successor to the Judeo-Christian tradition. It’s okay to say Moses was a prophet so long as one acknowledges that Mohammed is The Prophet to end all prophets, and that his word was the final word of God. So jews who worship Moses (so to speak) but not Mohammed are still the enemy. And “Musa” ( Moses ) is quite a common Islamic name. The Pyramids got the old velvet rope treatment because the Tory cuts prevented the necessary blue “Police Incident” tape from being employed. It was a health and safety risk…all those high heels in the dunes and sand behind the contact lenses(rose tinted and permantly affixed)…could have made the beheadings and mutilations seem a bit callous and not cognisant of recent Arab League Guidelines. the bbc can always get to the facts because…. To most of the BBC, Jew-hatred isn’t a bug of the new Egypt, but a feature. I’d heard, at the BBC the sphinx always remained open, for any passing pharoe that happened to mince by. Outrageously homophobic comment. You should be ashamed of yourself. And it’s “Pharaoh”. You are right of course. if only I had studied harder at school I could have avoided such outrageously shameful spelling errors.